Love to camp so now we are in the camper for the summer. Yay! love to craft, quilt, and make Quilt Of Valor quilts. 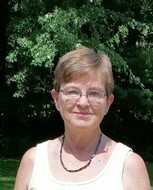 Shirley Irelan Hershberger updated her profile. View. Shirley Irelan Hershberger has a birthday today. Shirley Irelan Hershberger added a comment on her Profile. Shirley Irelan Hershberger posted a message. Shirley Irelan Hershberger added a photo to her profile gallery. Shirley Irelan Hershberger changed her profile picture.